During the cold winter months I like to drink a wide variety of coffee, tea or hot cocoa beverages to help take off the chill. These type of beverages warm me up and satisfy hot beverage cravings. 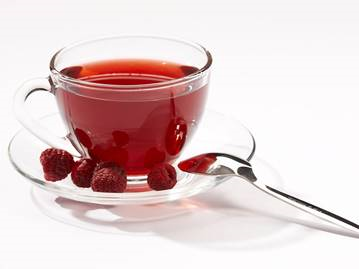 When I drink hot teas...I've got to have my tea flavored with raspberry, peach or blueberry. Today's recipe is courtesy of the great folks over at KRUPS. Visit the company's site to learn more about them and to get additional easy-to-prepare recipes. I enjoy flavored hot teas sometimes at breakfast with a hot bagel or in the evening after dinner when I want to sit and relax. If you like iced teas, you can still brew this tea and then just pour it over a tall glass of ice! Enjoy! I drink tea all,day and I especially enjoy infusing my tea with different flavors. theBerry flavor is one of my favorites, so both versions of the recipe given here are perfect for me.